Hopefully you’ve never had to call 911. When someone calls 911 it’s likely because they are in a crisis, or at least having a very bad day. With that said, if you have ever had to call, or ever need to in the future, you can rest assured that the voice on the line is a highly trained, highly skilled, and highly dedicated telecommunicator (a.k.a. dispatcher) who is there to help you get through your crisis, or your very bad day. As this week draws to a close, so does National Telecommunicator Week. It’s a few days out of the entire year where we recognize the men and women who are that voice on the line, and whose dedication to this community is displayed every time a person calls 911 for help. When you consider that the 911 lines are staffed every single minute of every single day, a week out of the year doesn’t seem like much, but that doesn’t mean we don’t truly appreciate and value the tremendous work these men and women do. They truly save lives and make what the officers and firefighters do out on the streets possible. 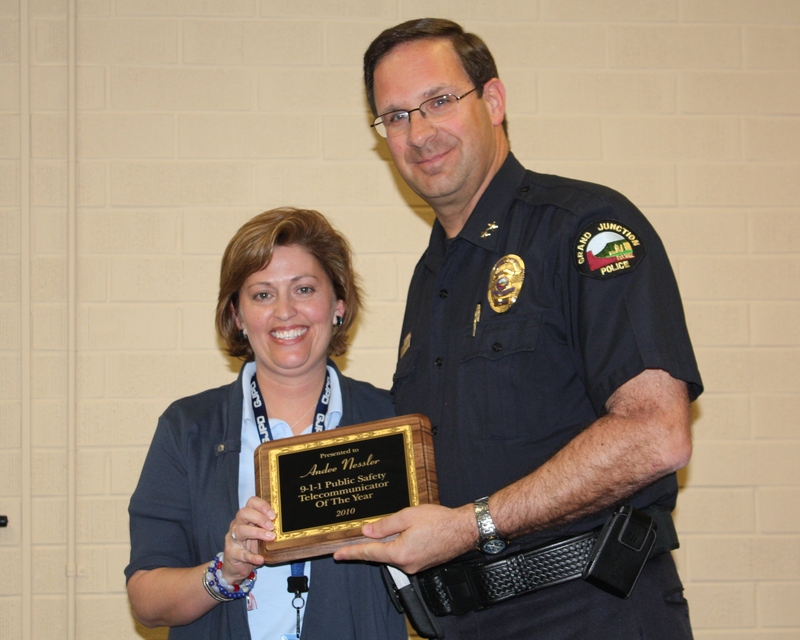 This year, during our annual awards ceremony 7 dispatchers were recognized for their outstanding work and dedication. The award recipients are chosen by their peers who know what these dispatchers face on a daily basis and who see firsthand how these dispatchers handle the intense and stressful situations. The first four awards in the list let us show our fun side, which is important with stressful jobs; the last three on the list recognize those who rise to the top of what they do. We are thankful for all of them, and for all dispatchers who are there when we need them most. 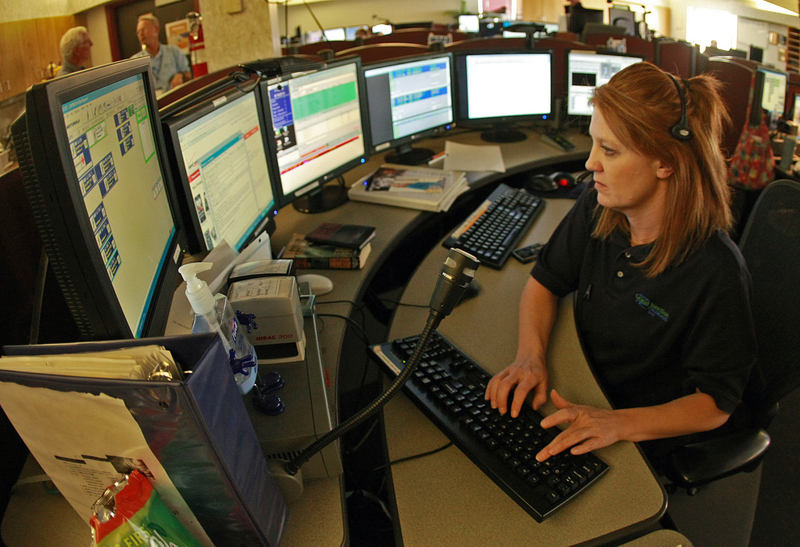 In 2010, the Grand Junction Regional Communication Center (911) received106,741 calls to 911. The Communication Center dispatches for 21 agencies across Mesa County. There are currently 37 dispatchers and 6 supervisors staffing the Communication Center. It takes a dispatcher an average of 12 months to become fully trained. According to the National Emergency Number Association, 8% of the population has the skills necessary to become a 911 operator. The 2nd week of April was designated National Public Safety Telecommunicator Week in 1991. In February 1968 Senator Rankin Fite completed the first 911 call made in the U.S. in Haleyville, AL.